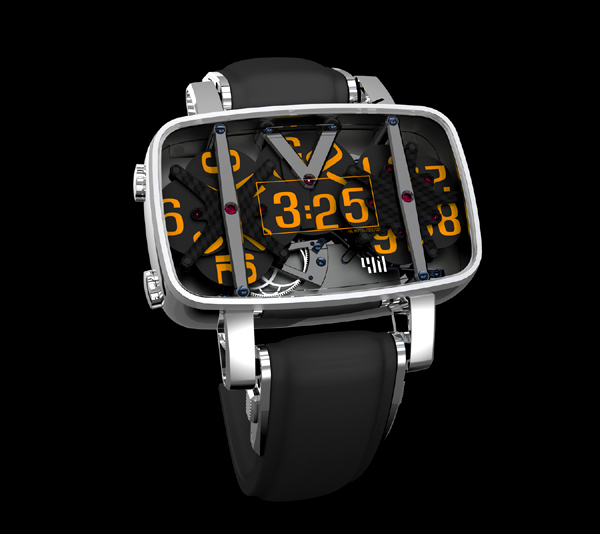 Some time ago we’ve shown you a collection of unique watches. 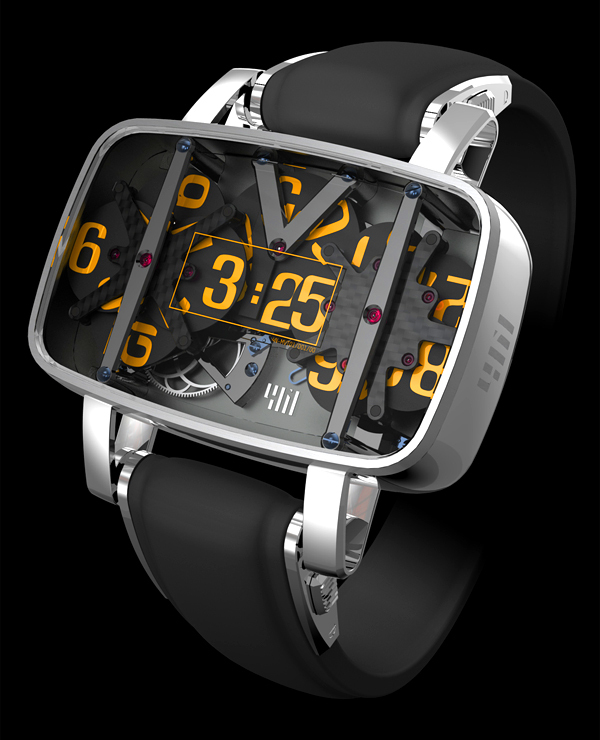 Today we want to represent you an interesting watch concept released by new brand from France N4. 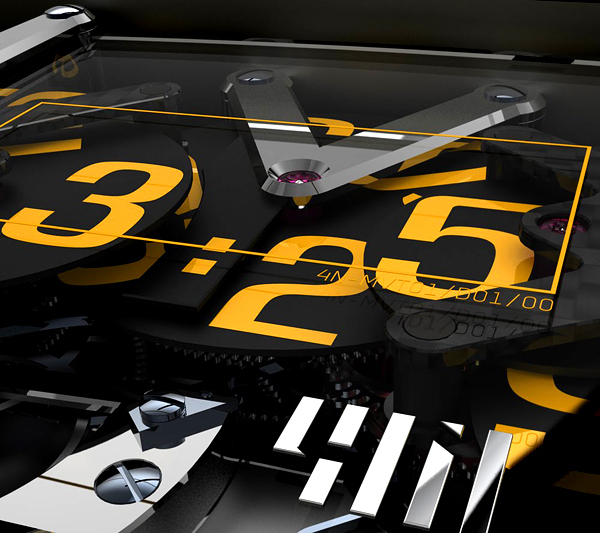 Each number on the watch is displayed using four discs with numbers. 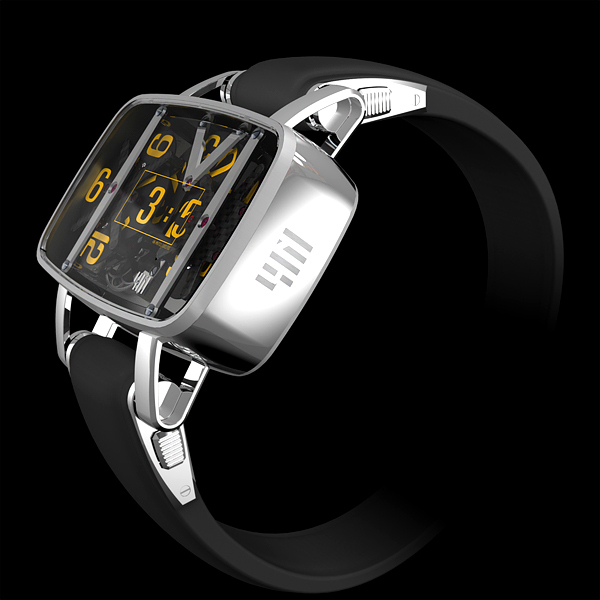 The mechanism is made of aluminum and titanium alloys, and carbon fiber. There will be 4 models depending of corps material (gold, platinum and other two materials). 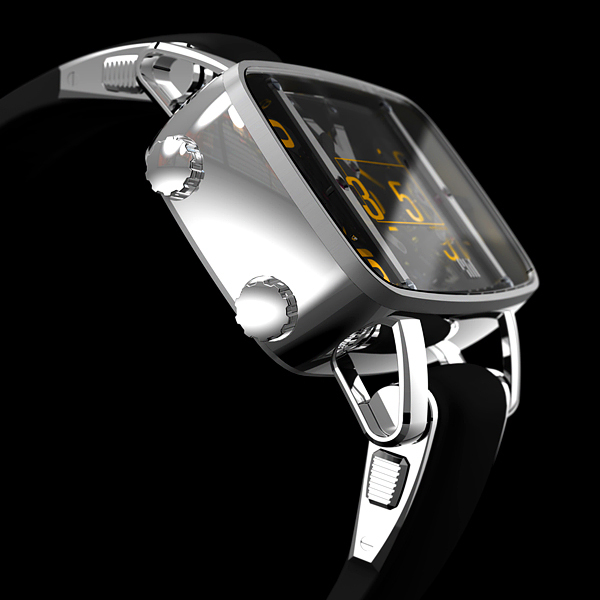 And these original watches will be manufactured in a limited edition – 16 copies – four for each model. About the price of the device manufacturer modestly fails to mention, but you can be sure that the price of these watches will be very high. Interested in new luxury watches? Check other our post: 50 Best All-Black Men’s Watches.